The first time I saw Foxing they were crammed onto an insanely small stage in Austin during SXSW, and looked like they were literally trying to burst out of it. Their debut album The Albatross had come out just a few months earlier, but it was already clear that this was a band with a mission to make distinct music and be noticed for it. The Albatross is a good album with a few songs that have clear lasting power (“Rory,” “The Medic,” “Inuit”), but it never quite reached the heights that their massively ambitious live show could. Now it’s two years later and the band are about to release their second album, Dealer, and it’s even better album than those live shows suggested they were capable of. If it doesn’t seem that way at first, it’s because rather than making their sound even bigger and risk falling into cheap bombast, Foxing have actually scaled back. There’s nothing as immediate as “Rory,” but over time the whole record will hit you much harder. It hit me on something like my seventh listen, on headphones in the subway. It was at some point during the one-two punch of “Indica” into “Winding Cloth” — I completely forgot about my surroundings and just lost it in my head to these songs. It’s the kind of thing only a truly powerful song can make you do, and eventually I realized that every song on this album is that kind of song. That’s a very personal and uncritical way of looking at it, but these are songs that are meant to be appreciated on a deeply personal level. It’s an album that embraces weeping piano ballads and orchestral indie rock as much as climactic post rock or glitchy downtempo. Sometimes a few of those things appear on one song, like “Night Channels” which manages to tackle The Antlers’ intimacy and Explosions in the Sky’s soaring breadth in just over four minutes. It’s a rich-sounding record too, where even the distorted guitars sound clean. But it’s not clean in a sunny, spring-y way. It constantly feels weighed down by sorrow, the kind of thing you reach for in late fall or the dead of winter. In the lyrics there’s allusion to religion and war, vivid imagery (“soaking blood through a dogwood lung”), and often an overwhelming feeling of guilt. Singer Conor Murphy has a great voice with a noticeably wide range, but the power of this album is often in what he doesn’t say, too. One of the songs that I said helped push this over the edge for me, “Winding Cloth,” is an instrumental. 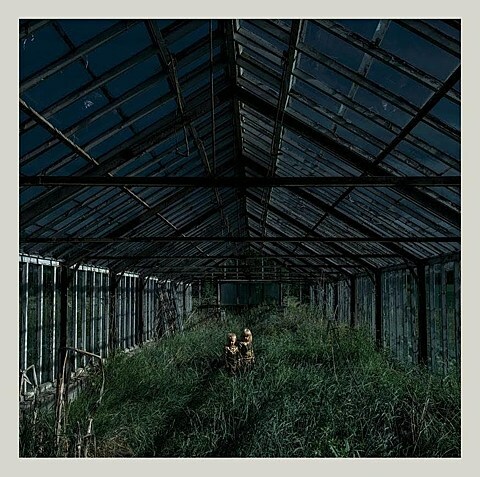 Like their recent tourmates mewithoutYou and their soon-to-be tourmates TWIABP, Foxing have made one of the year’s finest genre-defying rock albums. It’s finally here to stream (via Wired), and you can head below to listen. You might wanna use headphones. That tour with TWIABP (which also includes TTNG and Brightside) begins in November and hits NYC on December 3 at Music Hall of Williamsburg. Tickets for that show are still available. All dates are listed below.